When the summer rolls around, there’s nothing in the world we love more than cracking open a nicely chilled bottle of rosé wine, finding somewhere shady to sit, and taking some time to enjoy the uniquely refreshing and delicious characteristics of this wine style. While we’d be the first to accept there are plenty of underwhelming supermarket rosés out there, there’s no denying the fact that a decent bottle of rosé, made from quality grapes in the traditional method, is rarely anything but wonderful. Crisp, light, fresh, and bursting with fruit and floral notes, it’s nothing less than sunshine in a bottle, perfect for sharing and sipping alongside all your picnic favourites. 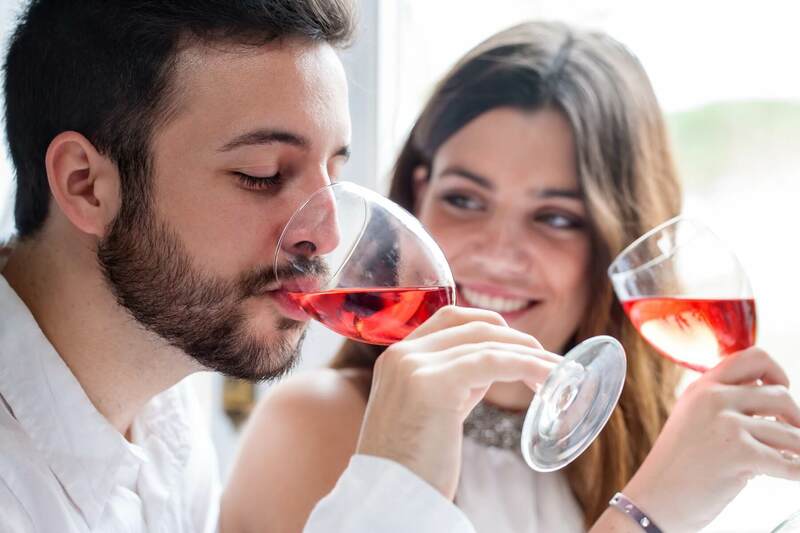 We’ve noticed from talking to friends and acquaintances, however, that remains a fairly misunderstood and underappreciated wine style, with many people showing some real confusion about what rosé actually is, and how one bottle differs from another. As committed rosé fans and champions, we felt it was high time we delved a little deeper into the pink realm of rosé, and explained just why this brilliant wine style has far more variation and range than you might have realised. Glasses at the ready…! Why Is Rosé Wine Pink? Let’s clear up the most obvious question first. Rosé is not - as many people still seem to think - a blend of red and white wines, or a strange halfway house made by mixing a bit of this and a bit of that in the bottle. In fact, rosé wines are most commonly single varietal wines (that is, they are generally unblended), with the exception of some of the famous French rosé wines from Provence. Many people are surprised to hear that rosé wines are generally made from exactly the same grapes as their favourite red wines. Look closely at the label of any decent bottle of pink vino, and you’ll most likely find that they’re produced from grapes like Grenache, Merlot, Cabernet Sauvignon, Sangiovese, Syrah… all your well-known big-hitters from the red wine world. So why are they such a different colour, and have such radically different characteristics? The answer comes down to the winemaking techniques involved, and most importantly, how much time the grape juices have in contact with the grape must (the crushed grape skins, seeds, and stems from which the juice is extracted). 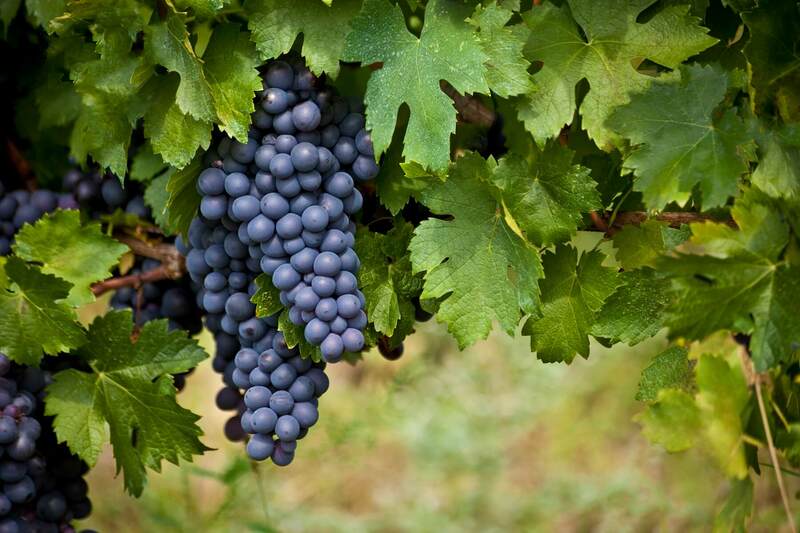 Red wines get their colour, and much of their flavour, aroma, tannins, and ‘body’, from the skins of the grapes. 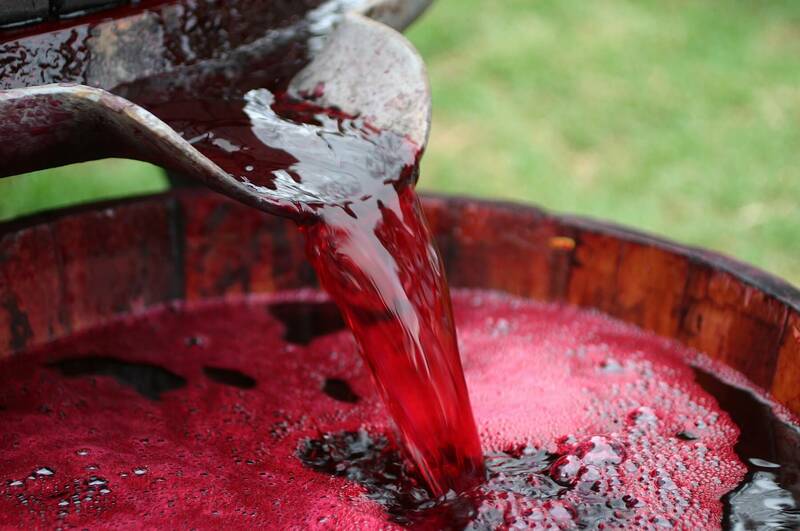 When winemakers want to make a deeply coloured, full-bodied, and intensely flavoured red wine, they’ll leave the grape juices in contact with the pigment-rich must for a long time. Rosé wines generally have a very brief sojourn the the grape must, meaning just enough pigment is imparted to create a delicate pink blush (and just enough tannin and flavour is transmitted to give them their bright and fascinating profiles), but not so much than the wine turns red. This method of creating rosé wines (known in the business as the maceration method) is by far the most common and the most reliable for consistency. Interestingly, there is another method of rosé production which is gaining in popularity, after centuries of being a rather obscure way of doing things. Known as saignee (after the French word for ‘bleeding’) it involves the winemaker ‘bleeding off’ some of the juice from a vat in the first few hours of red wine production. Because the wine has already started to take on the pigment of the grape skins, it will already have a pinkish hue. It will then be transferred into a new vat, where it can ferment and become a rosé wine. Why Are There So Many Shades of Rosé? One of our favourite sights in the whole wide world is when we walk into a top quality wine store or winery, and see hundreds of bottles lined up on shelves, all displaying their unique colours, shades, and tones. It’s utterly incredible that the humble grape can produce such an impressive spectrum of hues, and from the palest whites to the most lustrous purples, there’s a massive array to explore. Rosé wine is, of course, no exception to this range of colours, and rosés from around the world display a brilliant variety of pinkish hues. 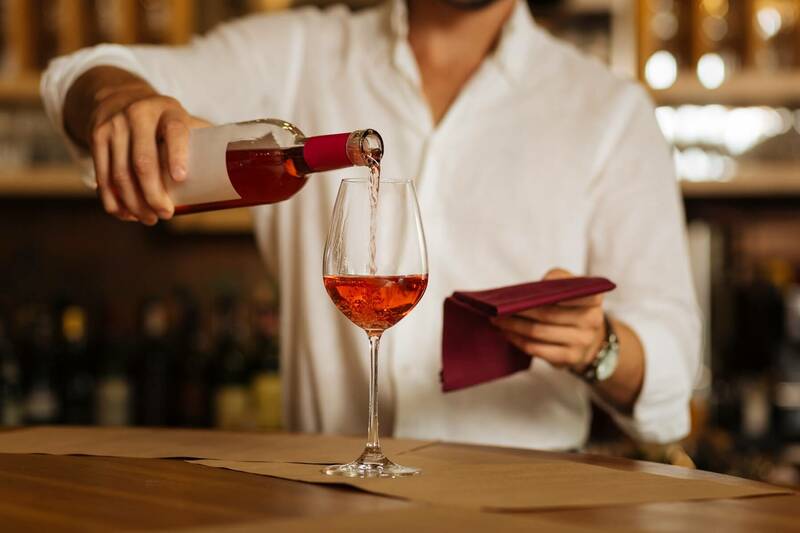 From the most delicate blush to more vivid orange-tinged pinks, and from those edging on scarlet to those with a greenish or straw-coloured tone, there are just as many different colours of rosé as there are of red or white wine. The reason for this, of course, comes down to the grape varietal used, and once again, how much time the grape juice has had in contact with the must. Impressive, huh? So next time you choose a bottle of ‘pink’ wine for your lunchtime tipple, you can confuse the hell out of your wine vendor by requesting a mango-hued bottle of southern Provence vin rosé. Or perhaps not. Let’s run through some of the most popular and famous rosé wine styles from around the world, starting with the palest, and moving our way down to the most vividly coloured, and think about the grape varietals used and their usual characteristics. In doing so, we should be able to get a clearer notion of the range out there, and why this wine style is so impressively varied in colour, flavour, and other distinctive features. Pale, delicate, and an absolute staple of the rosé wine world, Provence rosé tends to be made primarily of Grenache. These wines are usually very bright and dry, and feature delicious notes of grapefruit, watermelon, and chopped herbs. A shade darker than Provence rosé, these wines are usually bright and acidic, but with a somewhat earthier note. Expect flavours of melon and strawberry, and fewer floral or herbal characteristics. The big-hitter from Spain has a true pink colour, and features the spiciness and earthiness we expect from this Spanish varietal. Bright pink, and with a deliciously easy-drinking profile, White Zinfandel is a favourite among ladies’ lunches everywhere. Often a little on the sweeter side, it boasts flavours of tropical fruits (and pairs brilliantly with creamy pasta dishes). Everyone’s favourite sunny Italian varietal features another brilliant shade of pink, and packs in tart berry flavours and a fantastic balance of dryness and fruit-forward characteristics. A bit darker than Sangiovese and Tempranillo, Cab Sauv rosé features a more complex flavour profile which ranges from tangy citrus notes to surprising touches of leather and tobacco. Darker red in colour, the tannic grapes of the Shiraz varietal mean this rosé has a more boisterous profile which really zings on the palate. Hearty, lush, and featuring flavours of plums and berries, these rosés pair brilliantly with sweet and savoury stews, like a Moroccan tagine. If you’re looking for a ruby red rosé with a proper medium body, then this Italian varietal is the one for you. 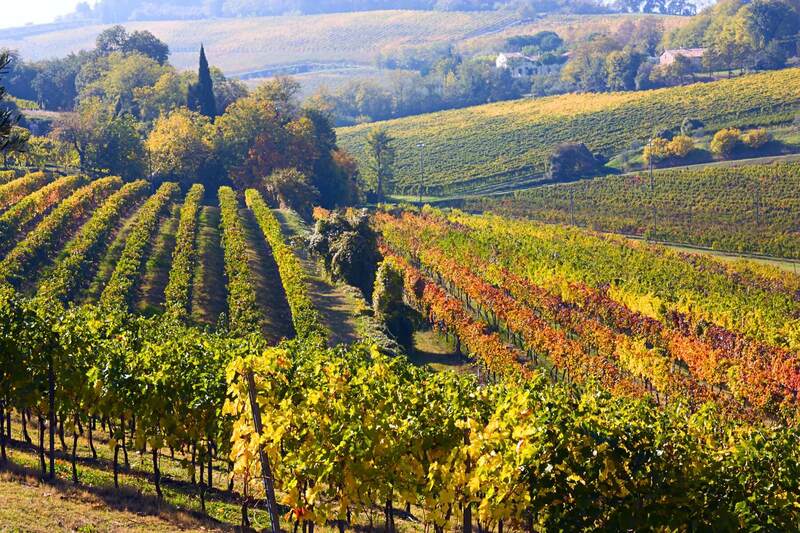 Made in the Abruzzo region of Italy, these wines features mountains of mulling spices and notes of candied fruit. Probably the darkest rosé you’re likely to come across, Tavel wines are made in the Rhone Valley. Interestingly, they’re made from Grenache grapes - the same varietal used right at the other end of this scale - but because of longer maceration times, the skins impart a much deeper colour and flavour. The ultimate rosé wine for red wine lovers! Now that you're all up to speed on the various shades of pink, why not put your knowledge to the test with our Summer Rosé Tasting Pack and pick up four of our tastiest bottles with free shipping while the boxes last. You can grab your box here.